Tony Fadell, the "father of the iPod" may have stepped down as Senior Vice President for Apple’s iPod Division but eh will remain affiliated with the company until 2010. Yesterday we reported that Fadell’s departure were due to "personal reasons." Now we received more information that it was because Fadell wanted to spend more time with his family. He resigned from Apple along with his wife to raise their children. However, any company that tries to offer Fadell a sweeter deal than Apple’s demanding work schedule will have to wait awhile or really up the ante. It turns out that Fadell will be staying on as adviser to Steve Jobs. Moreover, his new and more flexible job will be paying a nnice $300,000 annual salary plus restricted stocks. 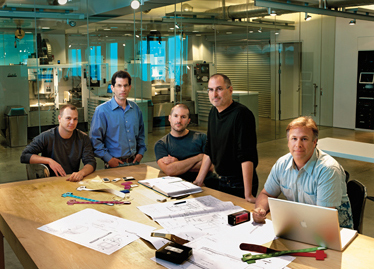 On November 3, 2008, Tony Fadell, Senior Vice President, iPod Division of the Company became Special Advisor to the Company’s Chief Executive Officer. In this new position, Mr. Fadell no longer will be an executive officer of the Company. In connection therewith, Mr. Fadell and the Company have entered into a Transition Agreement and a Settlement Agreement and Release (the “Transition Agreement” and the “Settlement Agreement,” respectively), under which Mr. Fadell will receive a salary of three hundred thousand dollars annually, and will be entitled to bonus and other health and welfare benefits generally available to other senior managers for the duration of the Transition Agreement, which remains in effect until March 24, 2010. The Transition Agreement also provides for the cancellation of outstanding and unvested 155,000 restricted stock units held by Mr. Fadell. Upon approval by the Compensation Committee of the Company’s Board of Directors, Mr. Fadell will be granted 77,500 restricted stock units that will vest in full on March 24, 2010, subject to his continued employment with the Company through the vesting date and further subject to accelerated vesting if the Company terminates his employment without cause. The restricted stock units are payable upon vesting in shares of the Company’s common stock on a one-for-one basis. The Settlement Agreement includes Mr. Fadell’s release of claims against the Company and agreement not to solicit the Company’s employees for one year following the termination of his employment.